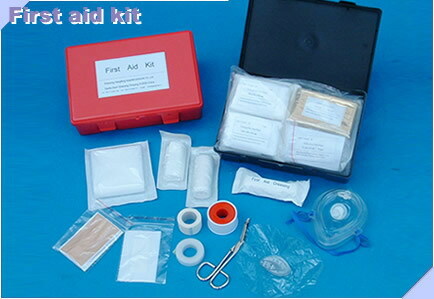 First aid kit: Various type of First aid kits are available, which is commonly used in Car, office, school, nursery, Kindergarten, construction site etc. Components as per buyer's requirements. OEM acceptable. Packing: In Plastic box or Fabric bag.